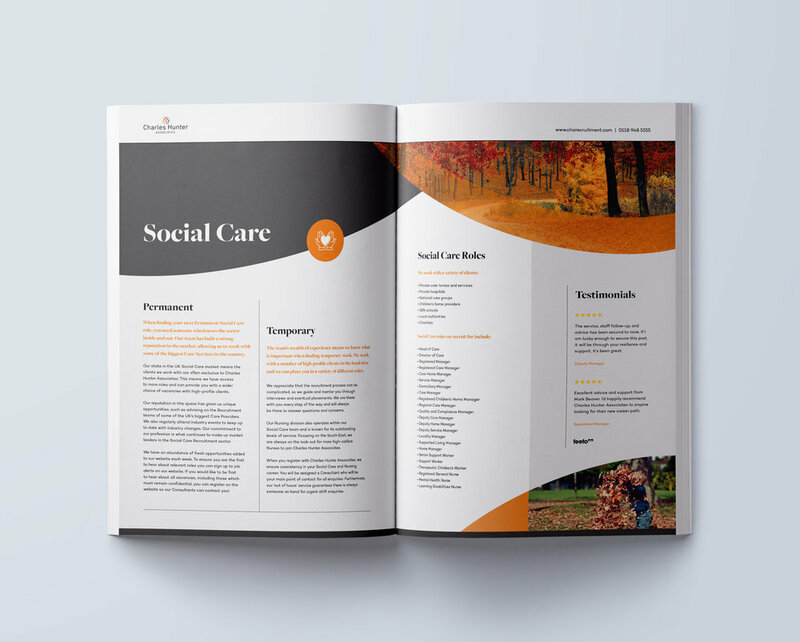 Charles Hunter Associates, who specialise in social work & social care recruitment, engaged with us to help them create engaging brochures and POS for an upcoming event. The aim of the literature we created was to encourage more candidates to register with Charles Hunter Associates, either as a Locum or as a Permanent Social Worker. Using their existing brand identity, we created an 8 page full colour brochure which highlighted key messages among more detailed information. The imagery chosen complimented the tone of voice and to further enhance their exhibition space, roller banners were also designed and produced.